The only international ferry services to Croatia is from Italy. There are no ferries from other European countries such as Montenegro, Greece, Turkey or Albania. Check below options of travelling between Croatia and Italy by ferries. If you find yourself in a nothern part of the Italian coast (Venice) and are looking to get to the southern part of the Croatia coast (Split or Dubrovnik), we would advise you to travel down the Italian side of the Adriatic rather then the Croatian side. This is because you can take one of the high-speed trains in Italy to get to Ancona or Bari and then get a ferry across to Croatia. This would be faster than travelling from Venice to Croatia, and then taking a slow bus down the Croatian coast. From Venice to Croatian ports of Umag, Porec, Pula and Rovinj there are catamaran service during summer season. You can choose from Venezia Lines and Adriatic Lines, two different companies that run catamarans between Venice and Croatia. During the summer season there are ferry service between Cesenatico in Emilia-Romagna region and Pesaro in the Marche region to Rovinj, Mali Losinj, Rab and Novalja in Croatia. These routes are operated by Italian ferry company Gomo Viaggi. 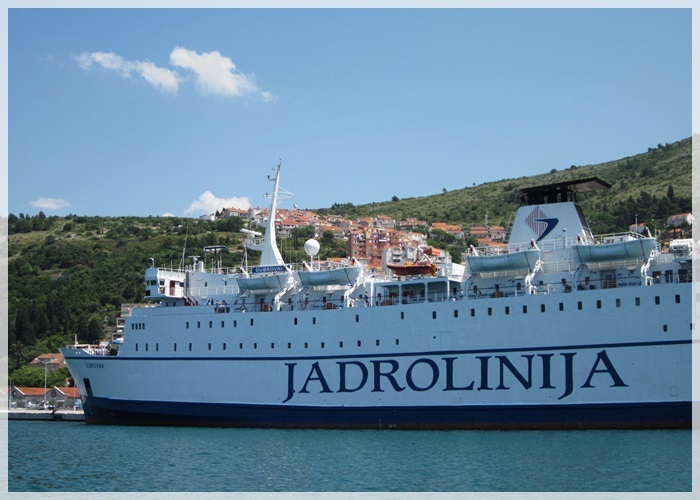 The only all-year long ferry connection between Italy and Croatia is the one from Ancona to Split run by Croatian ferry company Jadrolinija. Other company that sails on this route is SNAV but only from April until the end of October. Comfortable car/passengers ferries operate on this route on which you have all facilities needed for great trip. SNAV also operate ferries from Pescara to the island of Hvar in Central Dalmatia. Jadrolinija operates ferry route from the port of Ancona to Zadar in northern Dalmatia in the period from June until end of September. If you need to travel from Southern Italy to Dubrovnik, there is a ferry connection run by Jadrolinija from Bari in the period from mid April until the end of October. Sailings are more frequent during summer season. 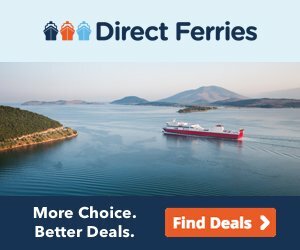 Book your ferry tickets with Direct Ferries - an online booking service featuring a wide selection of ferry routes across the world including Mediterranean. Use Direct Ferries to compare all suitable ferry crossings in their quick and easy search engine to find the cheapest ferry fares. After completing booking process you will receive confirmation e-mail which serves as a ferry ticket.